“A related complaint: according to the Great Pumpkin Objection, if belief in God can be properly basic, then so can any other belief, no matter how bizarre: if belief in God can be properly basic, then all bets are off, and anything goes. You might as well claim that belief in the Great Pumpkin (who returns every Halloween to the most sincere pumpkin patch) is properly basic with respect to warrant. You might as well make the same claim for atheism, voodoo, astrology, witchcraft, and anything else you can think of. According to Dostoevski, if God does not exist, everything is possible; according to this objection, if belief in God is properly basic, everything is warranted. This objection, of course, is plainly false. 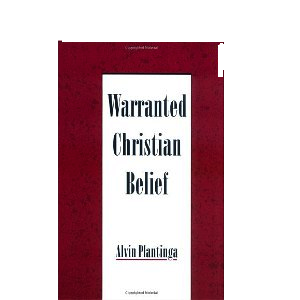 To recognize that some kinds of belief are properly basic with respect to warrant doesn’t for a moment commit one to thinking all other kinds are; even if the extended A/C model is correct, it doesn’t follow that these other beliefs are properly basic with respect to warrant” (Dr. Alvin Plantinga, Warranted Christian Belief. New York and Oxford: Oxford University Press, 2000, page 344). In my last post, I started tackling objections to Reformed Epistemology (RE). The first objection I tackled involved the notion that if faith in God is properly basic, then it is beyond rational evaluation. I stated that if there need be no evidence or argument (ie., demonstrable signs of rationality), then RE does place itself beyond rational evaluation. How rational can someone act to claim that something is the case, but have no way of showing the thing in question (in this case, Christianity) to be true? Very little conversation or reasonable ground can be made with someone who believes something to be the case, claims that the thing is the case, and yet, have no tangible way to demonstrate the truth of the claim. This is not rational at all; instead, this is madness. This Great Pumpkin Objection (GPO, my acronym) is legitimate for many objectors to RE because RE allows faith to be rational without evidence or argument. If there need be no signs of the truth of a claim, the objection goes, then anyone can claim the story of the Great Pumpkin is warranted (while showing no evidence to the truth of the claim). If there need be no evidence to show the truth of the claim, then one can claim anything and deem it “truth,” whether it corresponds to reality or not. This seems clear enough to me to understand. “Faith is not to be contrasted with knowledge: faith (at least in paradigmatic instances) is knowledge, knowledge of a certain special kind. It is special in at least two ways. First, in its object: what is allegedly known is (if true) of stunning significance, certainly the most important thing a person could possibly know. But it is also unusual in the way in which that content is known; it is known by way of an extraordinary cognitive process or belief-producing mechanism. Christian belief is ‘revealed to our minds’ by way of the Holy Spirit’s inducing, in us, belief in the central message of Scripture” (Plantinga, WCB, 256). “Why suppose that if God proposes to enable us to have knowledge of a certain sort, he must arrange things in such a way that we can see an argumentative connection between the experiences involved in the cognitive processes he selects and the truth of the beliefs these processes produce? That requirement is both entirely gratuitous and also false, since it doesn’t hold for such splendid examples of sources of knowledge as perception, memory, and a priori intuition” (Plantinga, WCB, 331). According to Plantinga, faith in God could operate as does 1) perception, 2) memory beliefs, or 3) a priori intuition. If it operates like intuition, faith in God is not a very reliable source of truth; if it operates similar to perception, then only some will notice and others will not. This, too, is not a reliable, universal source of truth. If theistic belief operates like memory beliefs, then, while one could be right in one’s belief (as some memory beliefs are), one could also be wrong (as some memory beliefs are). I will get into a discussion of theistic belief as similar to memory beliefs in my next post. For now, let me say that Plantinga cannot have it both ways: if he desires theistic belief to be different from our normal beliefs, he must declare it so. If it is to be like our other beliefs, then it will be subject to reason, as our other beliefs are.